At an evening meal, Muslims from Chicago’s South Side break their Ramadan fast. 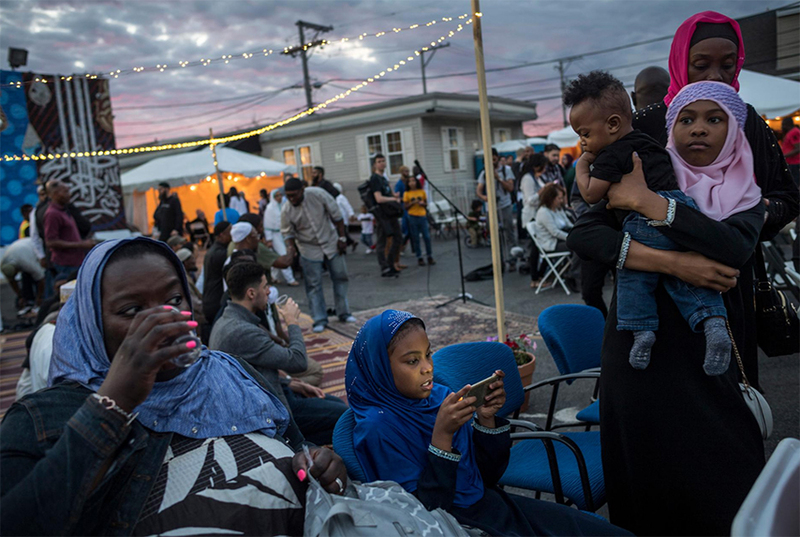 Inner-City Muslim Action Network, a community organization formed two decades ago, sponsored the event. Rami Nashashibi, the organization’s founder, started it to promote social change, the arts, and healthy living in the city’s poorer neighborhoods.